Algorithms This dataset contains depth images and masks for depth image inpainting. This dataset contains 16 subdirectories. The subdirectories contain depth images in png format converted from the ground truth disparity maps of the Middlebury Stereo Dataset . In each subdirectory, disp.png is the ground truth disparity map (pixel ranges from 0 to 255). Unknown values of the Middlebury dataset are converted to 0s in disp.png. Accompanied with the depth images are the missing masks (mask.png or mask_*.png) and the damaged images (missing.png or missing_*.png). 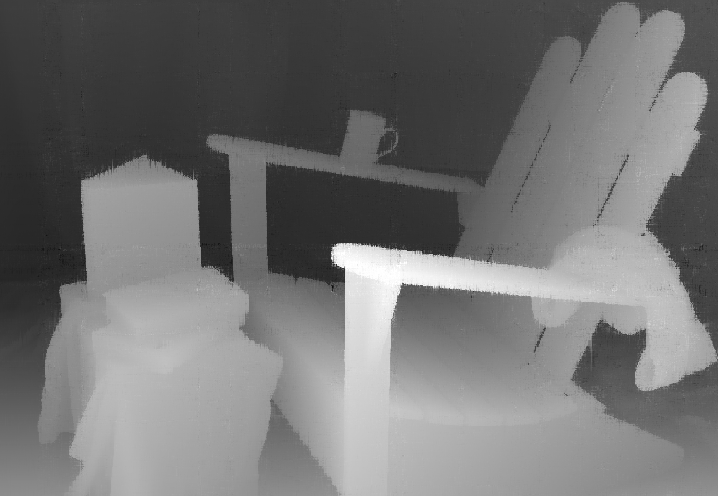 Other images are corresponding inpainting results of the algorithms mentioned in our paper. See more details in our paper.